While the clambake predates the colonies, it wasn’t until the introduction of the pilgrims that sweet baked desserts were added to the fare. 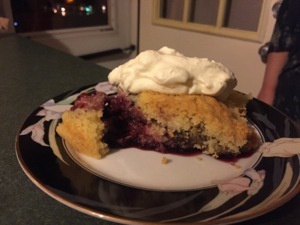 One of the desserts they introduced to the west was a cobbler called Pandowdy. 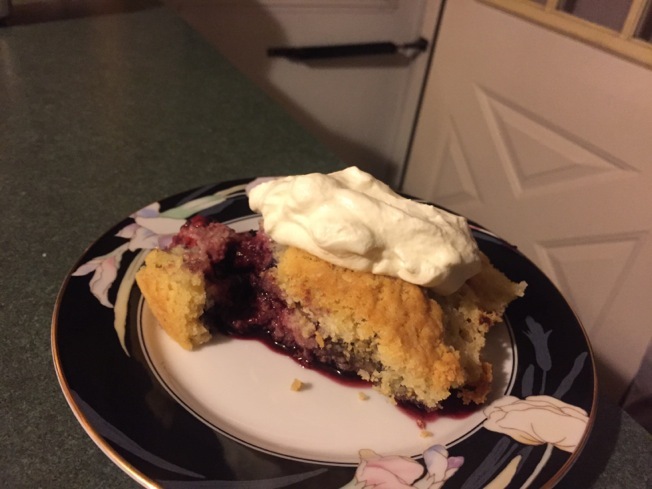 This mixture of fresh berries, spices and sugar, covered by a batter biscuit or pie crust was allegedly served at the first Thanks Giving feast along with steamed clams and other delights. Luckily, it was also served at a Gourmet Club dinner we had last year that had a Clam Bake theme. 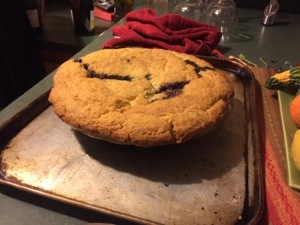 It has some similarities to a cobbler. In a mixing bowl, whip the cream until stiff peaks form. In a separate bowl, blend together the flour, baking powder and salt. Fold in the heavy cream until just combined. On a lightly floured surface, roll out the dough to a 1⁄2 inch thickness. Set aside. In a separate bowl, toss the blueberries with the cinnamon, nutmeg and sugar. Transfer to a 9 inch baking dish and drizzle with molasses and butter pieces. Top with dough and tuck into the mixture. Cut vents in the top of the dough. Bake for 30 minutes or until golden. Serve with whipped cream sweetened with molasses. NOTE: The ratio of types of berries is governed by their availability. The recipe calls for 4 pints of berries. If strawberries are used, keep them to a half a pint or less. ← Diced! 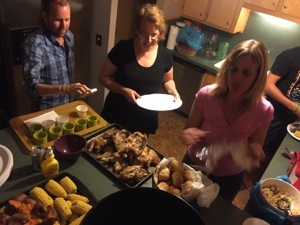 Day of Eating Cooking Contest – Lunch Poll Now Open! I recall on our honeymoon some 30 years ago visiting Quebec City and visiting a museum where they had pioneer recipes – lots and lots of lard.